Right click and select “add alarm” in configuration toolbar under edit mode. 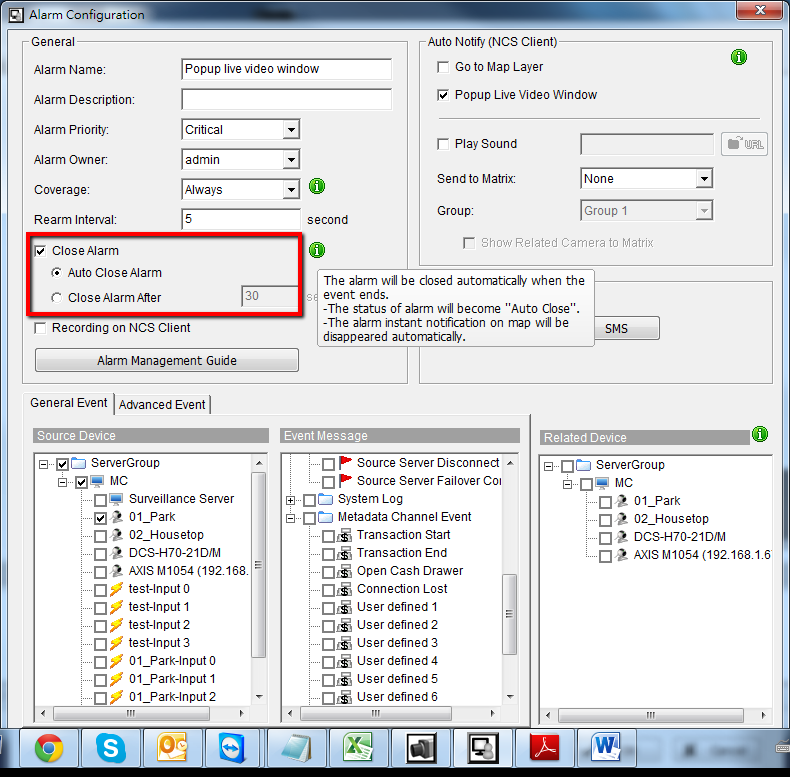 Enable “Close Alarm” function and select auto close alarm or close alarm after X seconds. Then the alarm will be closed automatically when the event ends, including alarm status will become “auto close” and instant notification on map will be disappeared automatically.